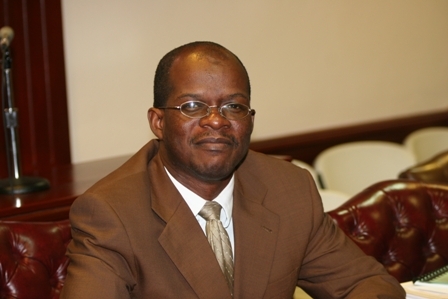 NIA-CHARLESTOWN NEVIS (February 08, 2011) — Persons involved in agriculture will soon have additional legislation that would deal with praedial larceny in St. Kitts and Nevis. The move spells some relief for livestock and crop farmers in St. Kitts and Nevis, who continue to suffer mounting losses in revenue due to theft. Once the legislation is debated and made law, it will provide for the registration of vendors of agricultural produce and livestock and for related matters. In a recent interview, Federal Attorney General and Minister responsible for Legal Affairs Hon. Patrice Nisbett told the Department of Information on Tuesday, that the issue had already received attention and new legislation entitled “The Agricultural Produce and Livestock Bill” was already drafted and heading for debate in the Federal Parliament. “Those guilty include many involved in purchasing retail on the roadside in markets as well as at the wholesale level and this Bill seeks to establish a system of registration which will assist the Police in identifying those guilty persons. Therefore, enforcement and policing of this offence should be easier with the enactment of this Bill,” he said. According to the Attorney General, the provisions of the Bill will be in addition to the provisions of any enactment providing for the prevention of theft of agricultural produce or livestock including the Praedial Larceny (Prevention) Act Cap.4.25 and the Larceny Act Cap 4.16. Mr. Nisbett acknowledged that perpetrators of that offence were brazen and carried out the nefarious activities with impunity. He contended that the perpetrators of praedial larceny were not the only ones to be blamed but also those who were guilty of purchasing stolen goods wittingly or unwittingly. “They do not bother to enquire about the source of the cheaper goods and in fact do not care since the transaction is conceived of as a bargain. However, if there are no ready buyers of stolen goods, if there is no ready market, there is little incentive to steal on the scale on which it is done, since no significant income can be derived from it,” he said. 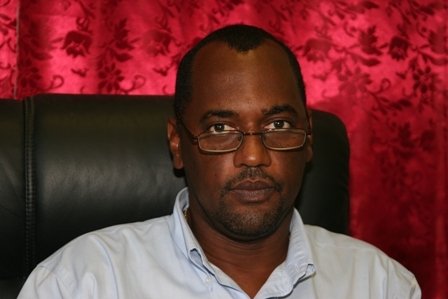 Meantime, when contacted for a reaction with regard to the proposed legislation, Permanent Secretary in the Ministry of Agriculture on Nevis Dr. Kelvin Daly, who had earlier called for increased legislation to deal with perpetrators of praedial larceny, said it was a good move and applauded the Attorney General for pursuing the matter. “It is a first good step in the right direction. However, I would temper that by saying that the regulations need to be properly formatted and enforced. I am concerned that by adding further duties to an already stretched police force, without increasing the manpower specifically to target praedial larceny, the problem will be put on the back burner once again. “I applaud the Federal Minister Hon. Patrice Nisbett for taking on this issue with such aggression, after so many decades of inactivity with regard to praedial larceny. I would relish the opportunity to conference with him and his colleagues to ensure that the new Bill along with the requisite regulations do not present too many loop holes for offenders to slip through,” he said.